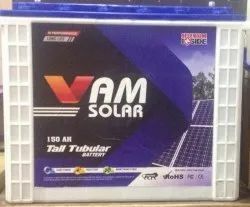 Offering you a complete choice of products which include solar tubular battery 150ah, solar tubular battery 40ah, solar tubular battery 75 ah, solar battery 75ah, solar battery 40 ah and solar battery 150 ah. With the huge demand in the market, we are affianced in offering quality approved 75 Ah Solar Battery. 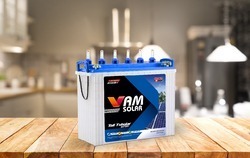 With the huge demand in the market, we are affianced in offering quality approved 40Ah Solar Battery. Being a quality-centric organization, we are instrumental in providing of Solar Battery that is in tune with the set industry standards. We design and develop these batteries using the optimum quality raw material.